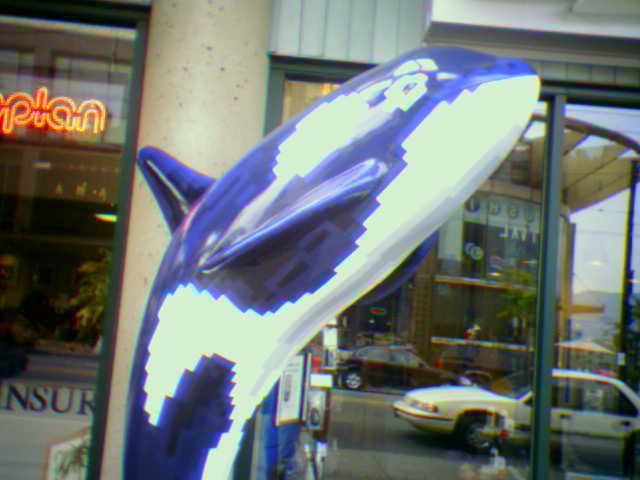 Yet Another Orca. These things are everywhere, and they’re ugly. This one is about the only interesting one I’ve seen. It sits outside a Bell Mobility, and their current ad campaign makes heavy use of pixellated images. It’s branded, it’s for charity, and they’re getting away with it. Nice job.